The fear of running down the battery of an electric vehicle (EV) has been cited as one reason the category hasn’t captured more of the U.S. new-car market. After all, how are you going to get to the grandparents’ house if they live, say, 250 miles away? While EV sales should surpass 200,000 based on growth the first nine months of 2017, they still represent a miniscule portion of new-car purchases. And even if that happens, total EV sales since 2012 will be only around 750,000, about .2 percent of the country’s 250 million vehicles. But change is coming, as EV ranges get longer and public charging stations more numerous. 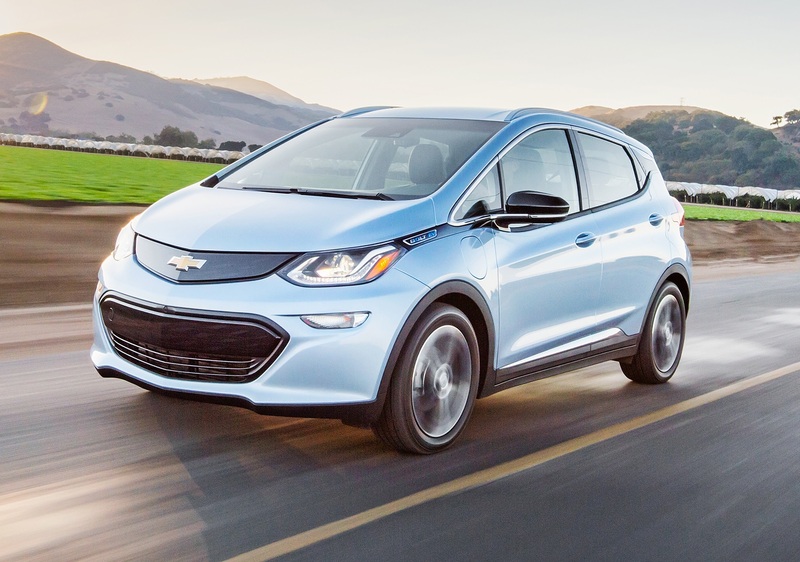 The Chevrolet Bolt is one of several EVs with a 200-plus mile range. And the country now has more than 16,000 electric charging stations and almost 45,000 outlets, according to the U.S. Department of Energy’s Alternative Fuels Data Center, with more on the way, although an estimated 75 percent of current chargers are “slow” technology. The Data Center provides a useful tool for finding recharging stations and for planning a trip route, whether you’re traveling across the city, the state or the country. If you’re still thinking about purchasing an EV but are hesitating, take a look at power provider Plugless’ EV range maps that comprise 32 vehicles and 10 U.S. metro areas. Purchase an EV that covers at least 100 miles on a single charge, which would cover 95 percent of vehicle usage assuming daily trip miles are about the same as gasoline vehicles, according to a new study by the Energy Department’s Office of Energy Efficiency and Renewable Energy. Wait a couple years until the vehicle choices at 200-plus miles per battery charge and the number of fast-charging stations across the country increase. The study suggests that only about 400 additional fast-charge stations spaced 70 miles apart on average would be needed for “convenient access” on the interstate highway system. Just how quickly that need may be met is suggested by Volkswagen’s plan, through subsidiary Electrify America, to have more than 150 fast-charging stations up and running by 2020 as part of its settlement with federal and state governments for cheating on diesel emissions tests. But for EVs to really take off, thousands of additional fast-charging stations also will be required in cities and towns across the country, where about 81 percent of people live. But even now range anxiety should not be an issue if the driver is going to work or shopping or a movie. Or even traveling, say, 100 miles or less from home – the range for almost half EVs currently available. It may just be a couple years before long-distance EV drivers can relax completely.